Security is at the forefront of consumers’ minds today and those not providing a secure product are bound to see a reduction in the number of consumers that leverage their product. Realizing consumers desire to make sure their information is secure, Google has released a round of updates of their ever popular Docs, Sheets and Slides mobile apps. Through the new updates, consumers that worry about the safety and security of the information within their Docs, Sheets and Slides apps can calm their fears thanks to a new two-step verification process. 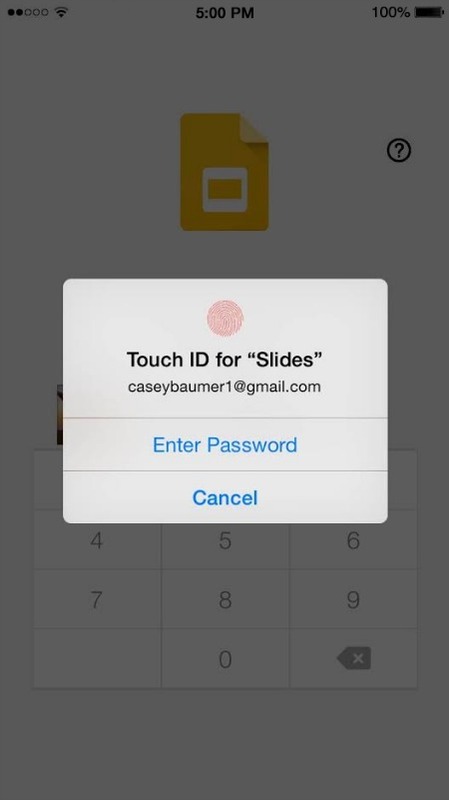 The new process enables users to secure their files by using their fingerprint through Apple’s Touch ID feature. Also, Google enabled their apps to help users who are visually impaired by allowing them to use screen-reading services like TalkBack on Android devices and VoiceOver on iOS devices to create, edit and share files in Docs, Sheets and Slides. What’s more, Google also endowed their mobile apps with more editing tools including real-time spell-checking in documents as well as hiding rows and columns in spreadsheets.